I don't think a topic for this exists on EB, so discuss this building style here! You can post your MOCs here, too. So, is this just supposed to be a general discussion topic on MOCing within this style, such as discussion on personal construction techniques, parts, defining your own take on the "look" of the style, and so forth? What is 'this building style' exactly? Guessing it's a bit more specific than plain old boring Classic Space? Yes- The Marauder is an example of an NCS ship. You can read the rules and backstory at http://neoclassicspace.com/about-us. 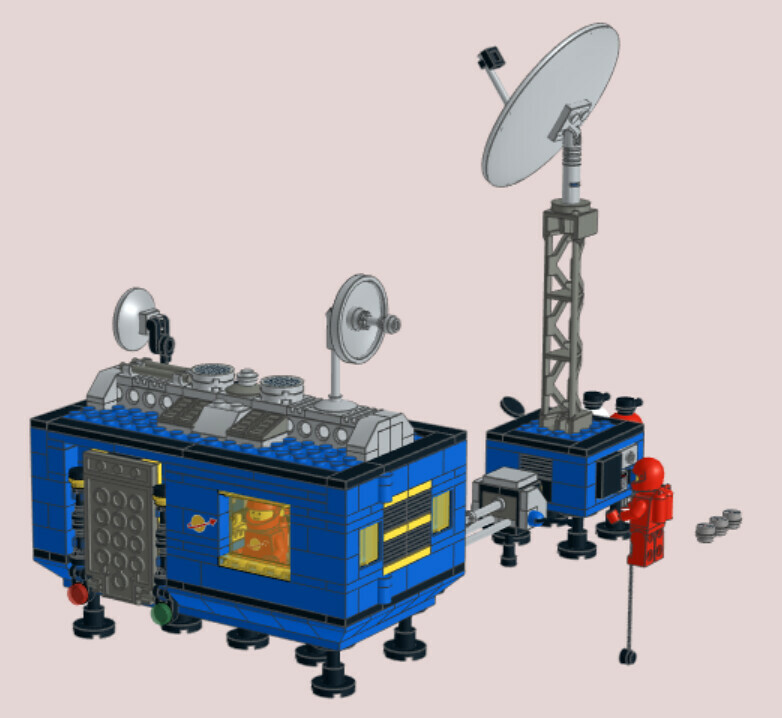 Peter Reid and Tim Goddards book, LEGO Space, is a very good way to start. 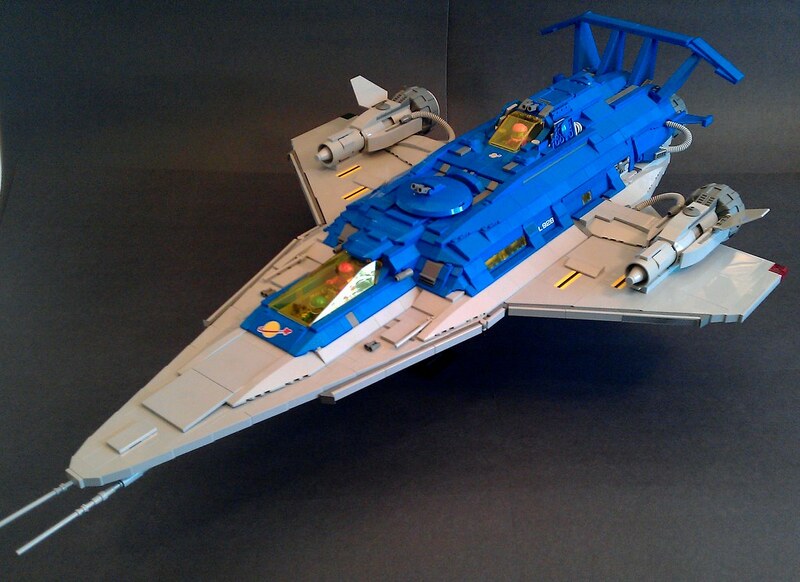 Here is one of my MOCs. A speeder. 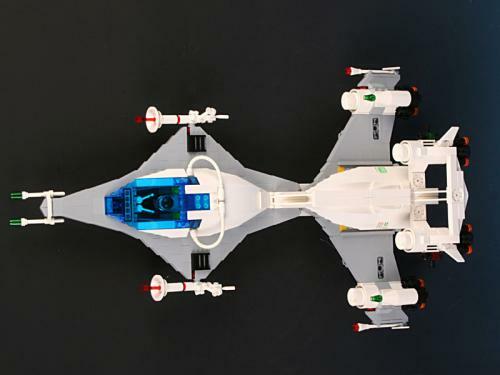 Snapshot of TLM2 , the white/blue color scheme, shapes, and white side rockets, and red transparent parts are very similar between the ships. 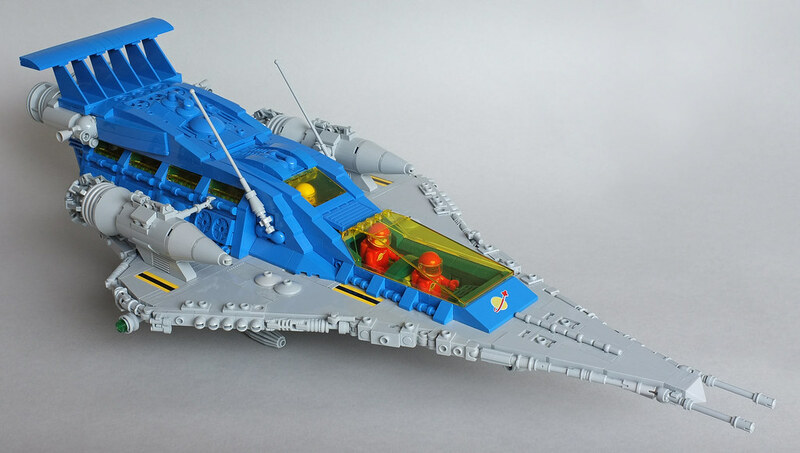 Now of course the question is, to see if any of those ships make it to an actual set. Yeah! I hope we can get some of those as sets! Which will provide us with more trans yellow! Please do not quote images from the same page, and especially the post above yours. Thank you. Classic Space Evolved is the idea that we take a set from the Classic Space period and bring it up-to-date with modern building techniques and parts. 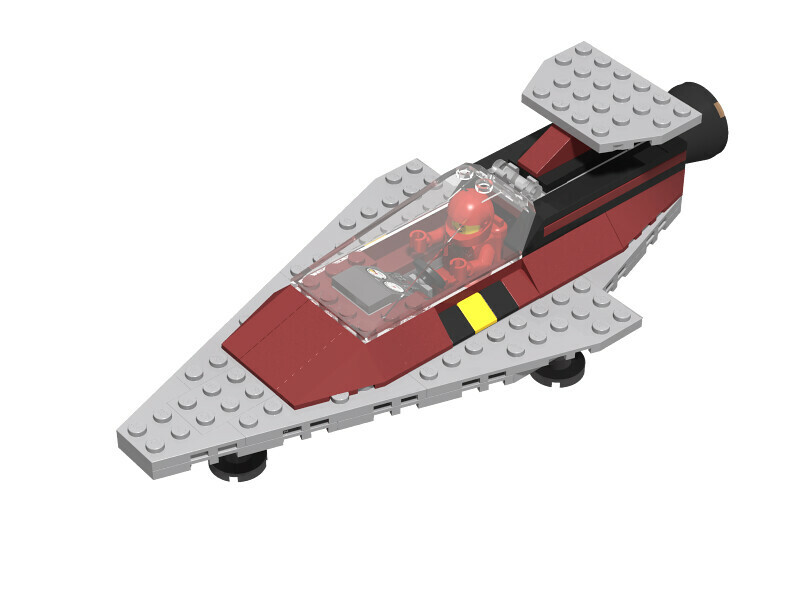 The goal is to create a MOC that looks very similar to the original set, with similar play functions and recognizable design features. What I like about this style myself is that it offers leeway in hue of color changes, keeping a particular color scheme within the same spectrum context, but allowing for darkening and/or lightening of any of the individual colors within a particular subtheme's signature color scheme. I'd like to mention this other subset within the Neo-Classic Space building style known as "Classic Space Evolved"
No? 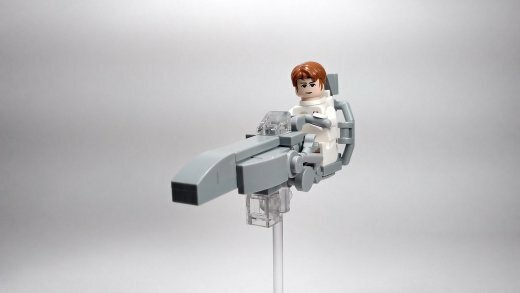 You personally prefer original spacecraft designs in the Classic Space style rather than reimaginings/reinventions of the original sets? Oof. Wrong choice of words I guess I meant those MOCs in particular. The original sets are fine too. 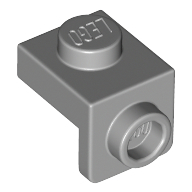 Of course LEGO is making more SNOT bricks and plates nowadays, so more build styles are good. 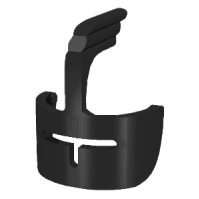 The recently added 1x1 Bracket helps even more for small detail , and is getting more common in 2019 sets. It wouldn't be NEO Classic Space if there were. One of the build rules is: Control those studs: Studs aren't good for aerodynamics, so try to keep exposed studs to a minimum. Yep. Studded wings look strange to me. Eh, rules rules rules. To me, neo Classic Space is simply anything built in a style or subject inspired by the Space sets between 1978 and 1987. 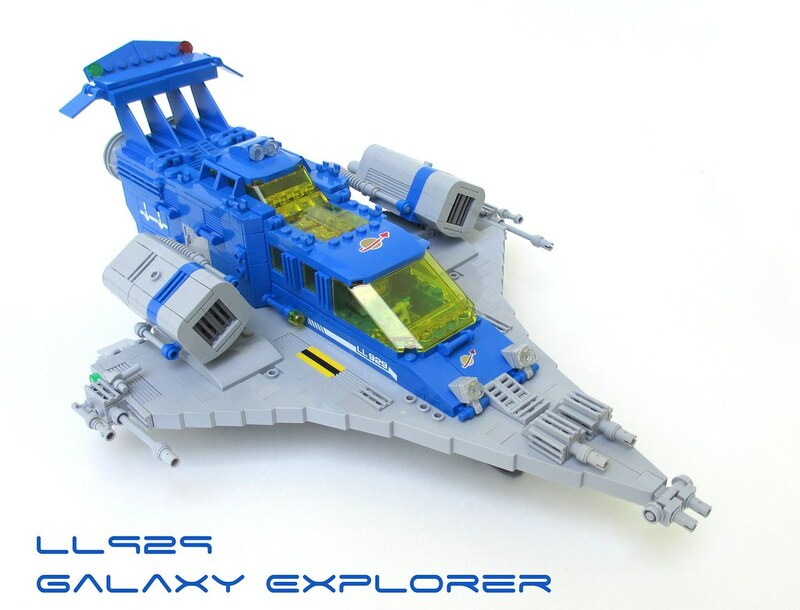 That includes all official sets in the Classic style released after 1987, such as the Benny ship from TLM1, the mini Galaxy Explorers that came with a DK book and the 60th anniversary set, Benny's Space Squad, and the 4+ spaceship in the TLM2 line. 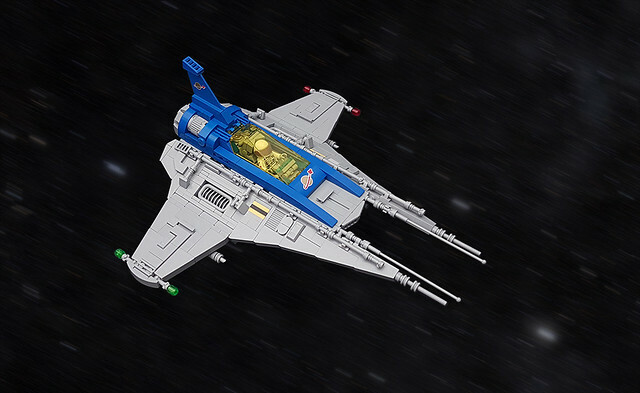 In an extended definition, neo Classic Space is anything inspired by other neo Classic Space builds that generally sticks to the blue-yellow-gray color combo or the white-blue-gray color combo. With that said, how would you classify my modern set-style interpretations of 918, 926, and 928? 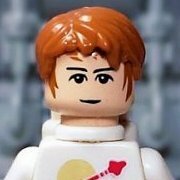 Are they neo Classic Space, Classic Space Evolved, or something else entirely? Maybe just Classic Space with modern parts? I guess? 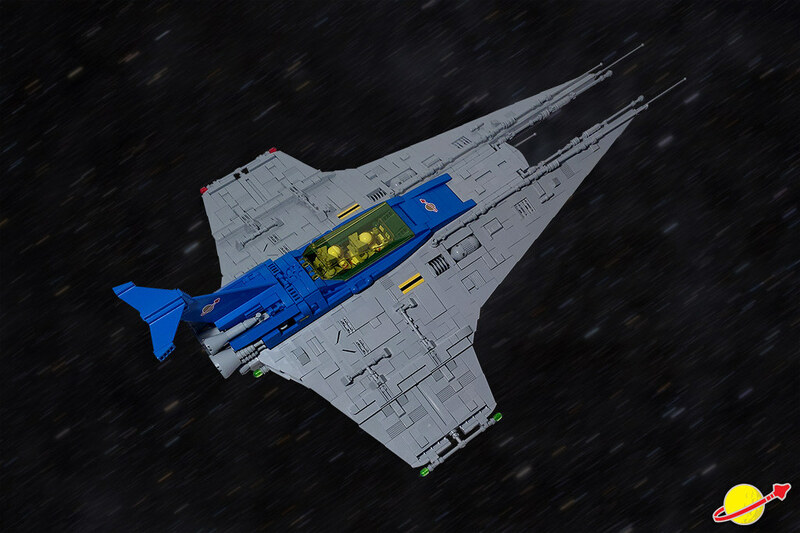 I would just call it "CS MOC"
At least Classic Space Evolved; but yeah, I'm pretty lax myself as far as such criteria when it come to Classic Space creations.